This thread is intended as a guide for newbies/noobs, feedback is welcome! Any power adders, such as turbo, supercharger, nitrous, camshafts, ITBs, extractors, etc. These physical patterns get read by Variable Reluctance, Hall or Optical sensors and produce a matching electrical signal that is conditioned by the circuits in a FreeEMS box and then read by the decoder software. This is a temporary solution, and a web page will be put up fairly soon to display this information in a more convenient and clear manner. Once you're sure that you understand what that means and have determined whether your RPM/Position sensors are currently supported or not you can tackle the appropriate next step. How many coils do you have? Can they be driven in pairs? How many injectors do you have? What essential accessories do you have? is it still available or even needed ? Hey Jesse, thanks for that. That file no longer exists, it was replaced with simple policy: If a decoder is present *in the build*, it must work, and be usable. Some skeleton decoders are present but NOT built, ignore them. Is there some particular flavor of hardware (Mcu and components) that you recommend? Currently not many board options. 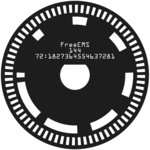 Is there a standard or generic board available that uses the HCS12XDP512 specifically for use with freeems that is available? If not, would it be ok if as some of your members to join me in making a batch? Note that the current version (0.7-alpha) uses pressure sensors that were nearing end of line last I checked, so you may have trouble sourcing them. Not a deal breaker as you can use off-board MAP sensors for both MAP and AAP (if desired). A new revision may come at some point with those fixes, work has been done against it. If you were brave you could build the untested/unreviewed board from the branch and try it. I have no problem paying for hardware since it can save a lot of time and frustration on a project that might already have a pretty steep learning curve. You and DuceEFI, and others have done an amazing amount of work on this project and have been very gracious by sharing it with others. -- Thank you. I would strongly urge you to be in close contact and fully document your intended build before ordering anything, though. Once we know what you have, what you need, and what you need to be able to do with it, then we can advise what level of readiness the system has for your application and how much effort/risk will be involved. IRC, freenode, #freeems for real-time QA stuff, but chuck up a users' rides thread about the target vehicle with engine specifics and we can go from there.